Our colorful Premium Soda Drink Roll Tickets are printed in color on white paper stock. 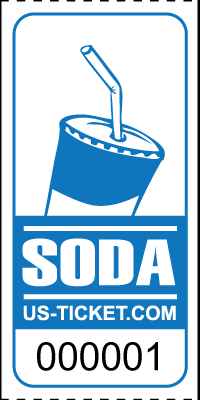 Our "SODA" logo is displayed on the front of each 1" by 2" ticket. Rolls of 2,000 tickets.